Star Shaped, a one-day festival bringing you the best of Britpop is back for 2018, and we've got tickets to be won. 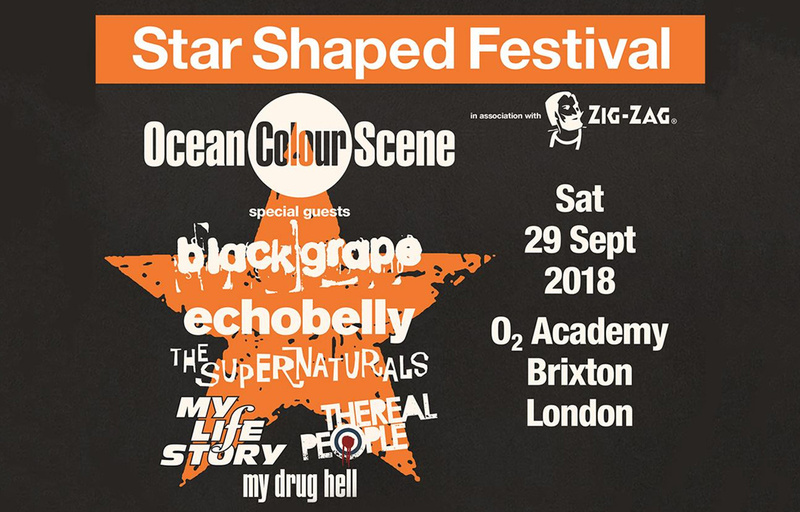 Taking place at the O2 Academy Brixton on Saturday 29th September, the stellar line-up includes the likes of Ocean Colour Scene, Black Grape, Echobelly and The Supernaturals. The final few tickets are still available from absoluteradio.co.uk/tickets, but we're giving you the chance to win a pair this week. Please note, this prize is non-transferable and does not include travel or accommodation.